Here is an easy green exercise that handles several core greenie values all at once: compost your kitchen scraps. Now before you dust off that "would-but" and laugh, let me remind you what a little simple composting does for one's green-foot-print. First, it takes stuff out of the landfill. Some 8-10% of most city trash is easily compostable vegetable matter (setting aside woody things like branches and stuff). Next, it returns nutrients to the soil instead of putting it out of reach of plants and bugs, which in turn can reduce your own need for chemical and petroleum-based fertilizer. And finally, as you become more aware of the compostable food you waste -- and we all do -- it is easier to get motivated to be a little more careful in one's consumption. What is composting? In a nutshell, vegetable matter like grass clippings and carrot peelings and coffee grounds are dumped in a special container and they rot. As they rot they get hot; the heat kills germs and helps the stuff rot more. Eventually all that rot decomposes into finished compost -- something you can pay extra for at the garden store in 1.5 cubic foot bags! 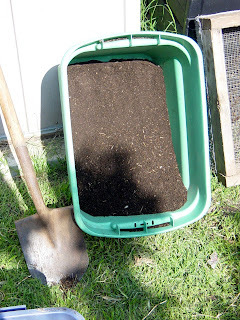 There are three basic methods to compost: (1) ground contact (2) sealed and (3) worm bin. We can talk more about worms another time, which leaves only the first two as Easy Green options. In ground composting, one piles up the compostibles, keeps the pile moist, a nd it rots. Insects, worms and the like help with the decomposition. Microbes in the soil do likewise. After awhile you have good clean organic fertilizer. In the old fashioned version this was done in open piles. There are potential health and animal issues though, so these days it is possible to buy prefab plastic bins, about the size of a trash can, open to the earth, in which to compost. Simplicity: Small, neat. Little or no smell, if you keep it mixed. We fill and empty about 1 1/2 - 2 such bins each year, depending on how often I mow the lawn. Add a bucket for daily scraps in the kitchen -- we use a restaurant container that does not hold smells available at Smart & Final, among other places. 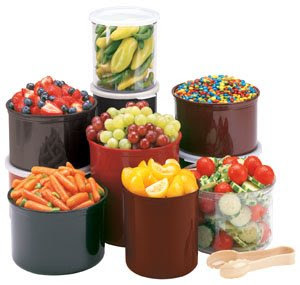 (Manufactured by Cambro, intended for salad bars and the like.) Other compost buckets can include elements to reduce smells, but in my experience if one can smell a compost bucket it needs to be emptied. So, every day or two, the compost bucket goes into the bin; leaves and grass clippings go into the bin, along with some shredded newspaper and a little water. Every week or two a quick stir, et voila, reduced waste stream and excellent organic fertilizer. The tumbler-style even eliminate the need even for additional stirring! Here (below, left) is a photo of about 10 gallons of compost, about one summer's worth of grass clippings and food prep scraps for us. It looks like a rich, dark, clean planting mix -- because that is exactly what it is! Local county governments have tons of info. 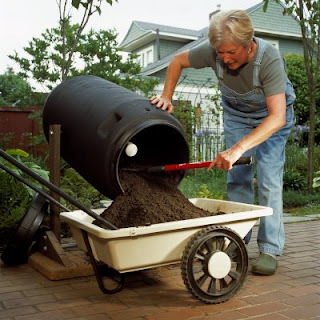 Basic composters like the one pictured here are available at numerous places online, and even at local Orchard Supply Hardware store and some garden supply centers. The most interesting thing is that composting gets you instant green-cred among even die-hard treehuggers, many of whom are stuck on their own "would-buts" when it comes to this easy activity. The look of horror and scrambling for excuses when one asks, ever-so-casually "oh, do you compost?" is priceless . . . so long as too many people don't figure out that it is both an easy and effective way to reduce your trash and fertilizer bill. Hi Roger! Great post! 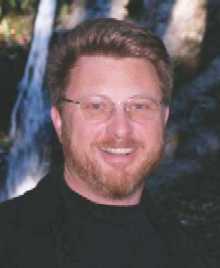 I've been reading all of your blogs and you provide a wealth of information! I just started an article about composting on a green wiki and it would be great if you could jump in or add your insights elsewhere on the site.